We all realize that a “sense of place” is of fundamental value to people everywhere -- in every city, every town, every neighborhood, and every culture, for all ages. 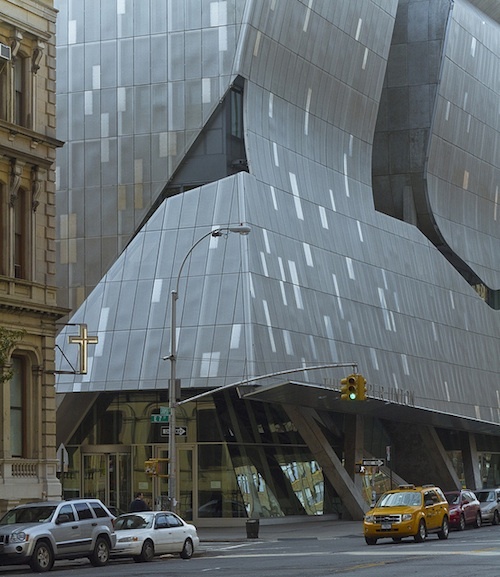 [I]t is not a perfect building, but it is the kind of serious work that we don’t see enough of in New York: a bold architectural statement of genuine civic value. Its lively public spaces reaffirm that enlightenment comes from the free exchange of ideas, not just inward contemplation. The curve of the corner, which lifts up to invite people inside the lobby, has an unexpected softness. Even the bulky exterior mirrors the proportions of the [Cooper Union] Foundation building [across the street] -- a friendly nod to its older neighbor. Ouroussoff’s remarks show a remarkable lack of perception when it comes to the building’s effect on a sense of place. The massive, unfriendly façade of the building doesn’t invite anyone in, and there is nothing friendly about it. It creates a dead zone in the middle of what once was a vital, connected streetscape. 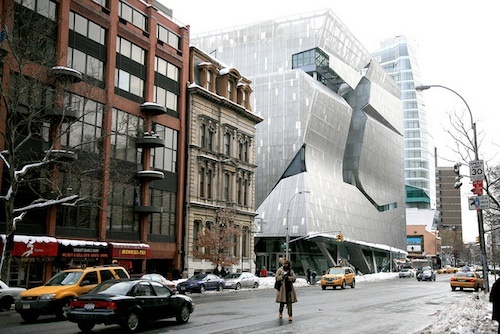 ‍The new Cooper Union building wowed architecture critics, but it fails to connect with the place around it. Photo: Ahmed ElHusseiny via Flickr. Ouroussoff’s tone-deaf reaction to this architectural disaster is the rule rather than the exception. Design and architecture critics frequently ignore the human aspect of buildings and focus merely on form. When they write their enormously influential critiques, they don’t concern themselves with how buildings shape human experience, or how those buildings make people feel. They fail to engage with the way that architecture impacts our innate sense of place. How best to create that sense of place is the question that PPS has tackled in the real world every day for the past 35 years. The challenge is becoming only more critical as the global population increases. More and more people are moving into cities, where the pressures of daily life are growing exponentially. 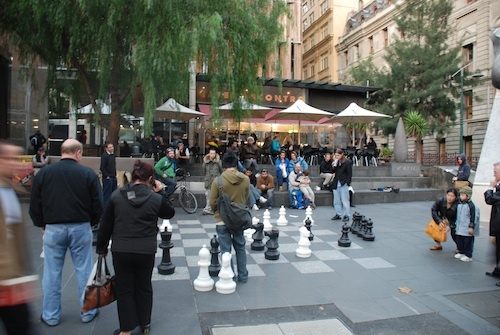 Governments, professionals, and ordinary citizens are feeling a new urgency when it comes to Placemaking. We want to steer the discussion about architecture and design toward the idea of place, and how it can contribute to healthy, comfortable, engaging public spaces and destinations. We will do that by examining both positive and negative examples (see below). Our idea of an “Architecture of Place” is about creating design that ennobles people -- that makes them feel empowered, important, and excited to be in the places they inhabit in their daily lives. For many years now, the emphasis in the world’s cities has been on flashy buildings and static public spaces. These icons of architecture and design are judged by critics as objects in space -- not as human places where meaningful social interactions can occur. Despite some backlash against iconic architecture (acknowledged even by the iconic guru himself, Frank Gehry), the fashion for “high design” has proven to be quite tenacious. In the last decade, some of the new buildings that have won the most acclaim exemplify what we might call a kind of new “Brutalism.” They recall that style’s monolithic disregard for human scale and for connection to the surrounding streetscape. 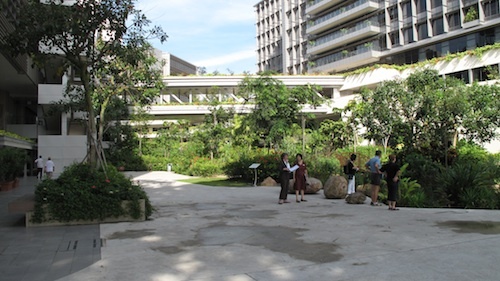 This time, however, these lauded buildings have incorporated “green” or “sustainable” features. Architects and designers are thus creating an "eco-brutalism" form of architecture that is too often dismissive of the needs of people, even as it purports to address the pressing ecological needs of our species and our planet. 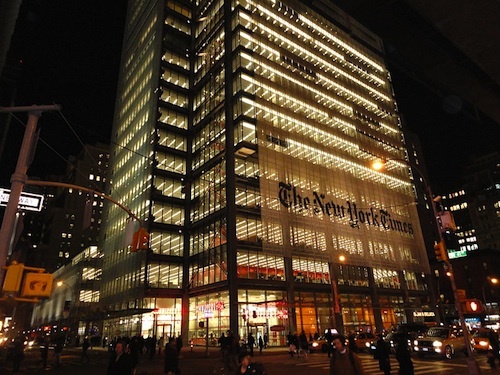 Not all iconic buildings fall into this technocratic trap. 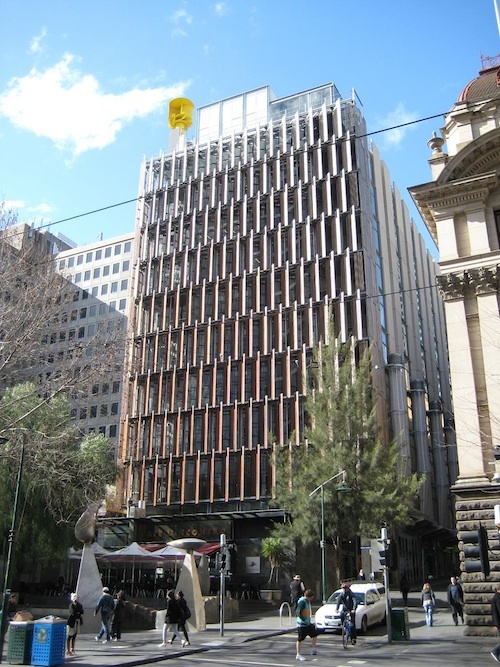 Occasionally, we find an extraordinary example of a building that really adds to the life of a community and it also serves as an iconic place, such as CH2 (Council House 2) in Melbourne, Australia. ‍CH2 in Melbourne is a technologically sophisticated building that also creates a strong sense of place. Photo: Rory Hyde via Flickr. These are fine buildings, both as architecture and as places. We call them "Extraordinary Places," and you can see more examples below. However, looking around the cities we have been to recently for our work, we often find that -- when judged in the context of place -- the newest building is the worst. It may be the building that has won the most architectural and design awards, but it is also the building that has most effectively deadened the space around it. 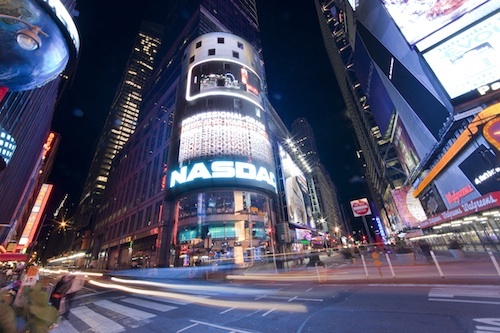 As communities around the world increasingly recognize that creating great places should be at the top of their agenda, such self-focused designs may retain value as iconic visual elements. But they will also remain isolated, adding little to the day-to-day life of the community. In short order, they will no longer be sought after, just as shopping malls are no longer the sought-after development for the best cities. We need to be very strong in our criticism. Both architects and landscape designers (many of whom are trying to outdo the architecture profession with shapes and forms and a “greenwash”) need to be challenged. Only then will they be pushed to support communities in their quest to create places that are comfortable -- places where community members can have a sense of real ownership and the ability to adapt public streets and places to their unique aspirations and identity. In weeks to come, we are going to show how the language of design critics does not cover this human dimension, and how their too-narrow focus breeds even more of these isolated icons. No longer is “adequate” the goal. “Extraordinary” needs to be the new agenda for cities and their communities. An iterative approach, done actively over a short time, can unveil to a community the amazing complexities of great places that they never thought they could achieve. We will continue to show how our process and tools, along with strategic implementation strategies such as a Lighter, Quicker, Cheaper approach, can deliver real community places. We invite you to suggest excellent examples of “Architecture of Place” that we may not be aware of. We will also ask you to identify bad buildings, worthy of our “Hall of Shame” -- structures that exhibit the unnecessarily narrow thinking that seems to pervade the architecture and design professions today. We welcome your comments on any side of the argument so we all can learn from each other how we need to change what we are doing to our precious communities worldwide. This discussion of “architecture of place” will be challenging, fun and at times contentious, but in the end we hope we will come out with a broader definition of what "design," in the best sense of the word, can do for communities. We all have a lot to learn. 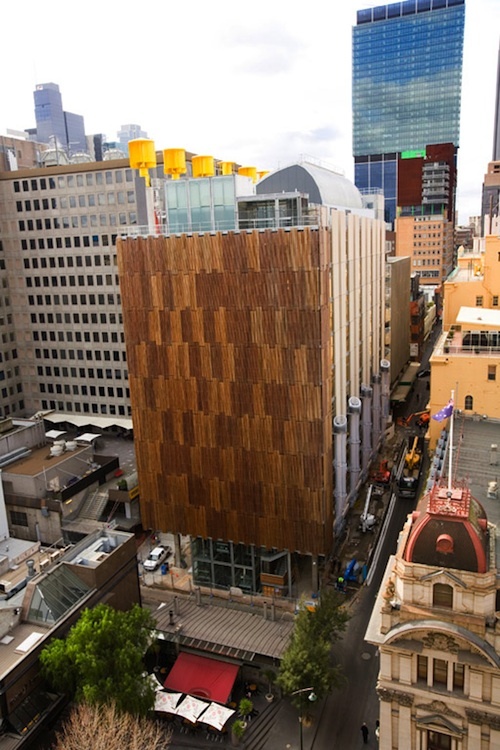 Architect: City of Melbourne in association with Mick Pearce with DesignInc. The design of CH2 is beautiful and environmentally sound. Photo: Fred Kent. ‍Even more important, people gather in front of it. The building is surrounded by people, doing things because there are things to do. All of the bad buildings we discuss could have had similar characteristics. That's the tragedy. Photo: Ethan Kent. ‍This is a very contemporary set of buildings around a courtyard. Nature in all its forms is present and is integrated organically into the architecture. It is a place that welcomes people and activity, creating a sense of restfulness and well-being. 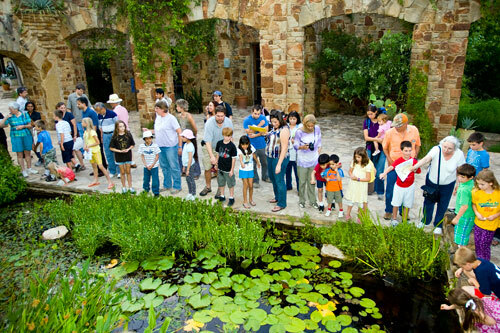 Photo: Jim Turner, Lady Bird Johnson Wildflower Center. ‍This is a very big building (the 12th tallest in the city) that doesn't give a feeling of being big. It activates the space around it with a variety of uses. From the street level, there is no sense of the building as a whole. The building disappears and you're just left with Times Square. Photo: Suko Presseau/Durst Organization. Nurturing, healthy gardens throughout the hospital complex are a testament to the management’s commitment to holistic wellness. Photo: Fred Kent. ‍The building and gardens, which look out onto the water, abound with plants, birds, butterflies, and fish. The setting creates a sense of health and vitality; architecture is a backdrop for the life of the hospital. Photo: Fred Kent. ‍A very public building that has retail all the way around the building and relates well to the surrounding streets. The retail could have more individuated identity, as it is homogenized by the strong identity of the architecture. Photo: JLeon via Wikipedia. ‍People avoid this place. 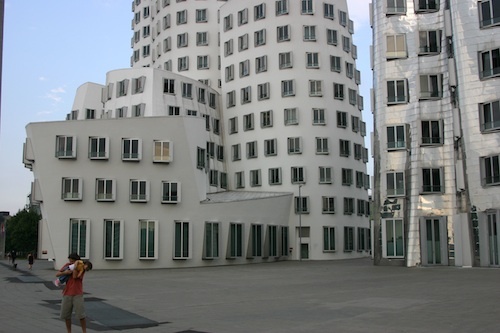 Architectural critics praise it with absurd language that is disconnected from the reality of how the building makes people feel. The arrogant 1 percent fail to understand how the 99 percent react. Photo: Vincent Desjardins via Flickr. 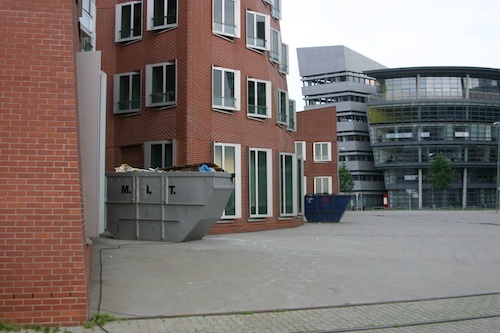 It would be nice to see something that connects the building to its surroundings, other than a Dumpster. Photo: Fred Kent. ‍Instead, these buildings are all about themselves. Self-contained and shutting off the places around them. 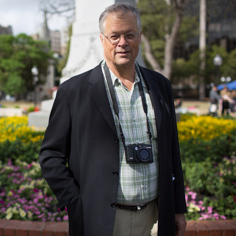 Photo: Fred Kent. 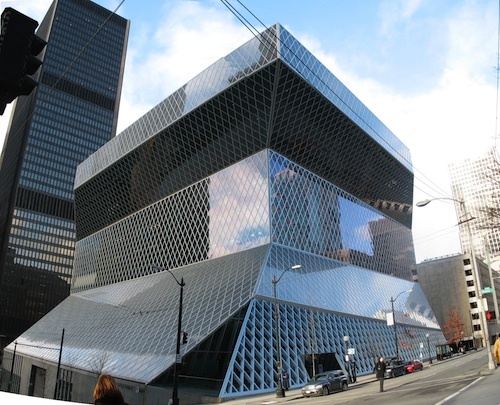 ‍This building won many prizes and was praised as a “signature” building for Seattle. 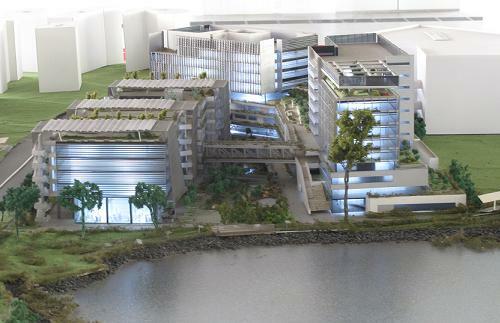 But in reality it is isolated, not related to other potentially vibrant buildings around it. It fails to create destination. It’s even hard to find the door. While there are some positive qualities on the inside, use is awkward and problematic for staff and visitors alike. Photo: OZinOH via Flickr.